Is there a trip in your future? 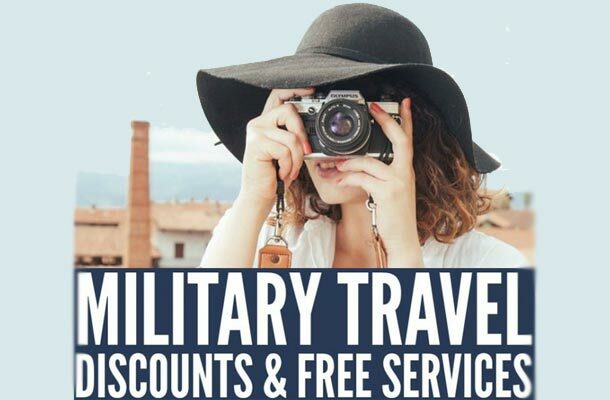 Whether you’re making a PCS move, traveling to an overseas duty station, or organizing a family vacation, these military travel tips can help you plan the perfect trip. Budget ahead. Big costs like airplane tickets and car rentals are obvious, but remember to budget for smaller expenses that can add up quickly. These include checked baggage fees, airport parking, pet care, meals and snacks, and other easily overlooked expenses. Get traveler’s insurance. Look into different types of travel insurance. Some plans cover trip cancellation or changes in travel due to weather or airline delays. USBA members can sign up for Emergency Assistance Plus (EA+). It offers 24-hour emergency travel assistance for medical emergencies and over 20 additional travel benefits. USBA members get a special rate and risk-free 30-day trial. Lounge during layovers. Many major U.S. air hubs have USO lounges. Seattle, Washington, D.C., and Boston are just a few of the places where troops and families can rack out between flights. USO airport lounges are typically staffed 24/7 by volunteers and offer free snacks and drinks, clean bathrooms and a place to recharge tech toys. Some lounges even have showers and a luggage room. Keep your receipts. When you’re traveling on a PCS, the military will reimburse the cost of lodging, fuel, and moving supplies. However, you’ll need a receipt for each when requesting reimbursement. Keep your receipts in a designated envelope. Save on lodging. Here are 3 ways military families can sleep for less. (1) Stay in base lodging at military bases across the country. Every base has a hotel for service member families. Priority is given to those PCSing or on a school assignment, but there are often additional rooms available. (2) Active duty families also get free access to National Parks, perfect for a summer vacation or warm-weather PCS move. You may need to pay a small fee to reserve a campsite, but that’s still less than a hotel. (3) Check out Armed Forces Vacation Club. Club membership is free and open to active duty, National Guard, Reserve and retired members of the Armed Forces. Stay at vacation destinations around the world, including popular $349/week Space-A stays.